When the adventure is calling, you need to listen. Whether it is the wanderlust kicking in, a thirst for an unusual experience, or an immediate urge to escape, adventuring is the best way to disconnect from your daily routine, and reconnect with yourself. This week, Julie and I decided to leave the Vancouver Coast & Mountains and drive north on Highway 99 towards the Cariboo Chilcotin Coast. 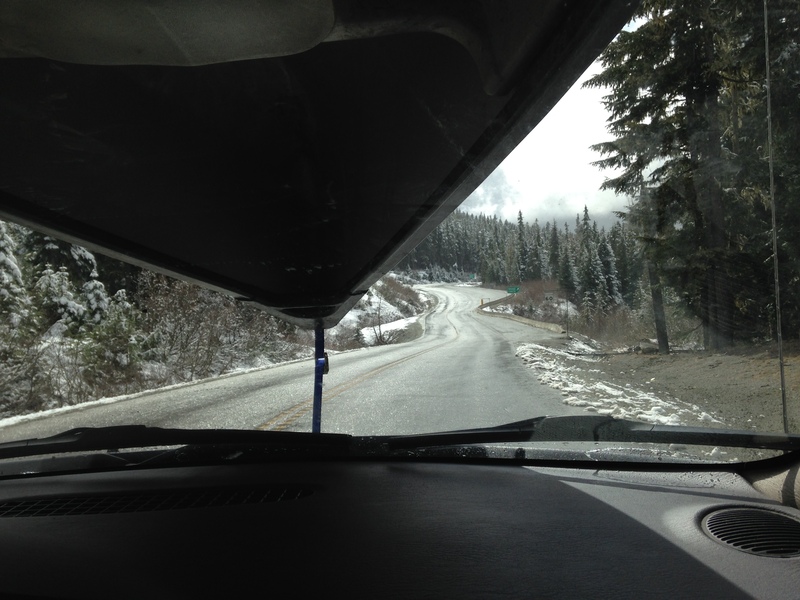 We left Whistler at dusk, with a car packed with camping gear and supplies, two excited dogs and a canoe strapped atop. We drove north on the open road with no fixed plans, just a map, and a snow storm in the forecast. As we approached the pioneer village of Pemberton, we glimpsed at the sun slowly rising from behind the impressive peaks of Mt-Currie. The road carved through the indian reserve, following the Lillooet River. We drove along the shoreline of Lillooet Lake before climbing the winding Duffey road. We could feel the cool coastal air and noticed leftover snow glittering on the pavement . The road stretched through the southern boundary of the Cayoosh Range, with no signs of civilization, just nature resting quietly in cold air. 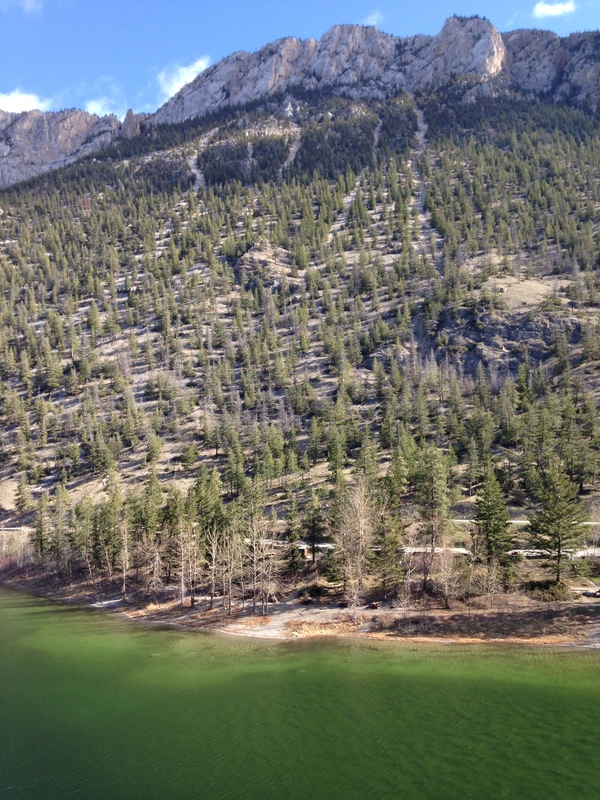 We felt the air warming up as we approached the dry climate of Lillooet. 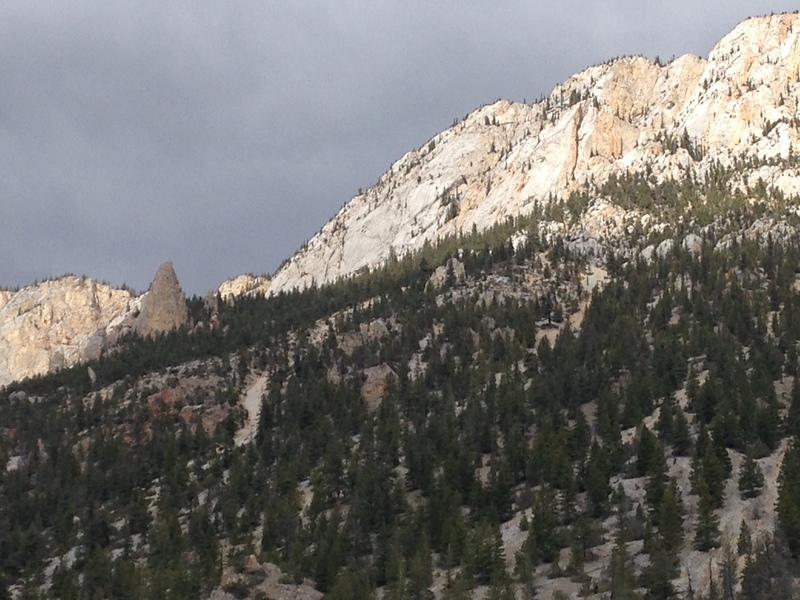 We kept going on the rugged road meandering through steep cliffs and towering peaks. On our left side, we perceived a splash of bright blue nestling in between majestic mountains. 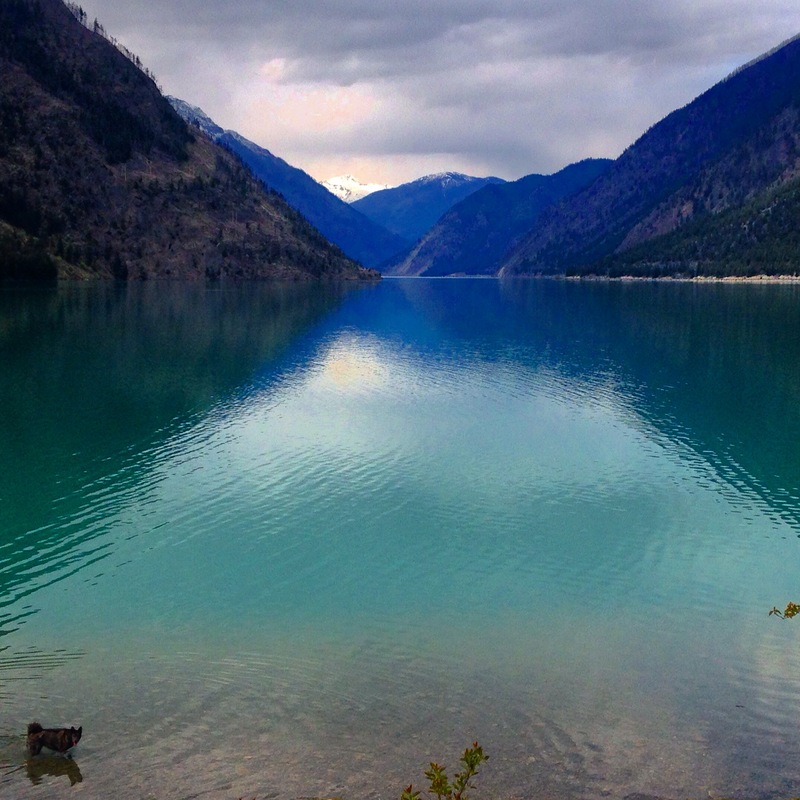 Seton Lake is a freshwater fjord on Cayoosh Creek, near the confluence of the Seton and Fraser Rivers. It stretches for 27km and is known as one of the deepest lakes in British Columbia. Seton Portage Historic Provincial Park is a popular recreational destination allowing its visitors to fish, swim, boat, and hike. The lake is also part of a hydro electric project. We had a snack on the beach, allowing the dogs to stretch their legs. We contemplated the incredible blue hues of the glacial-fed lake and the majestic mountains framing perfect scenery. 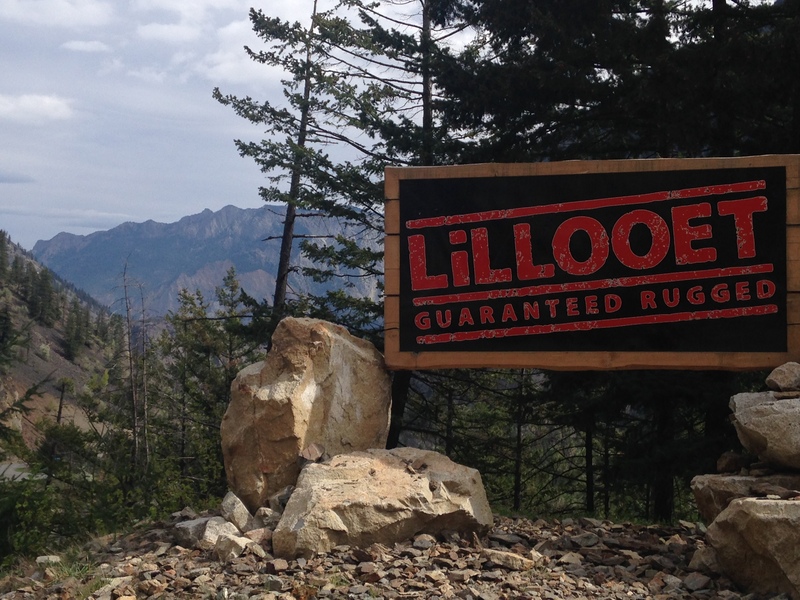 We pursued our drive up to Lillooet, a small community on the Fraser River, at an intersection of deep gorges. Rich in history and culture, this little town is also home to an abundance of wildlife, unspoiled mountains, lakes, and valleys. We continued through the Gold Rush Trail, driving along scenic panoramic views of wide benchlands and the mighty Fraser Canyon dropping abruptly through narrow rock gorges and flanked by high cliffs. We arrived in early afternoon at Marble Canyon Provincial Park. 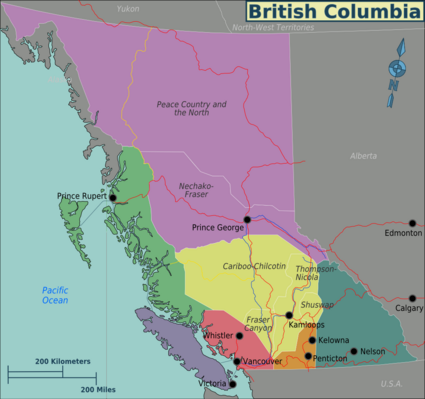 The canyon is known to be a rare geological formation in BC. It is created from a collapsed karst formation, and a microcrystalline limestone bedrock. The drive is gripping and with the dry climate it really feels like a place far away from home. We drove pass Pavilion Lake, where we admired the vibrant shades of blues and greens formed by a colony of microbialites. We kept driving and arrived at a small campground between Turquoise and Crown Lake. No one was there, perhaps still early for camping season, and bit brisk and windy. That meant that we had the lake to ourselves! Perfect! We unloaded the canoe and loaded it up with our gear. We headed for a beach on the other side of Crown Lake where we set up a waterfront camp. We faced west, and admired the golden light reflecting on the Chimney Rock amongst the limestone cliffs erecting steeply in front of us. The water was intensively green and clear. This was the perfect setting. We had snacks on the beach and admired our surroundings. When camp was set, we boarded the canoe and explored the lake. Julie noticed a waterfall on our left, so we beached and hiked towards our find. We followed a narrow trail that climbed the steep mountainside and found a small cave. We sat inside, our feet dangling off the cliff and contemplated the beauties laying ahead as the sun set. We spent the night bundled up by the fire, telling stories of life and watching a moon crossing a starry sky. The mountains reflected perfectly on a serene lake. There was no snow nor storm on the horizon, just 2 girls, 2 dogs, and a perfect setting, embracing every moment, and collecting memories. Adventuring gives us the opportunity to find beautiful places, wander and get lost in them. Take risks, live dangerously, adventure often, explore more, never stop wondering and wandering, create a path and leave a trail. It’s okay not knowing where we are going, as long as we keep learning along the way, and embrace every moment we meet. Beautiful pics. Adorable dogs. Thanks for sharing! This looks amazing, I’d forgotten how lovely BC is.